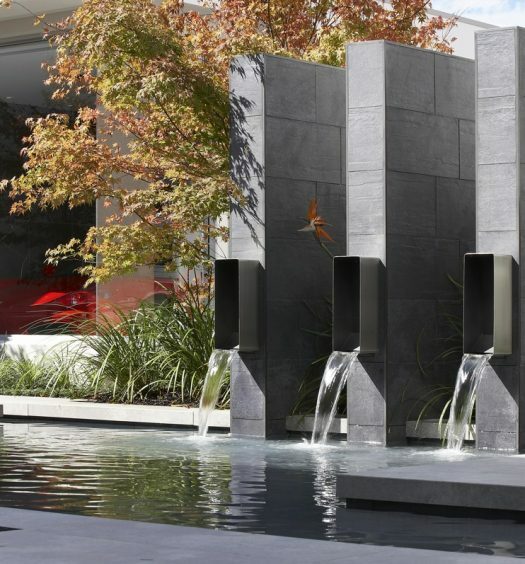 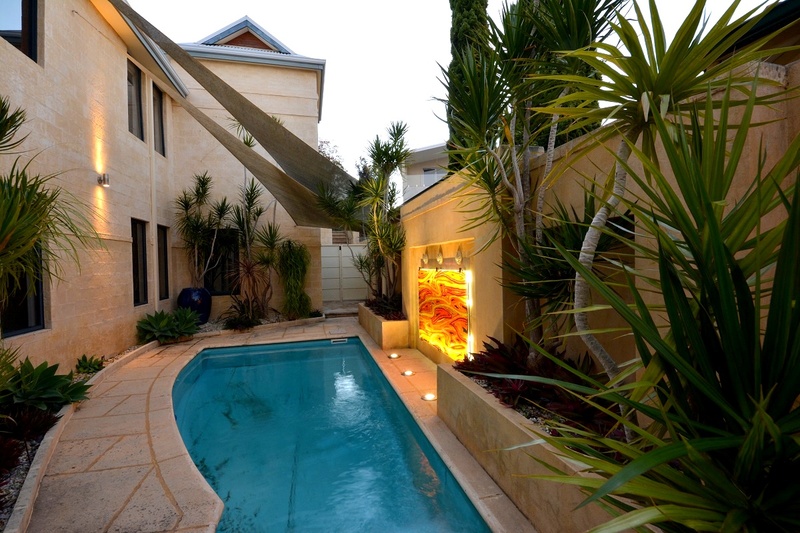 The importance of outdoor entertaining in the Australian lifestyle has certainly been recognized in modern home design, with more thought and larger budgets being allocated to landscaping. 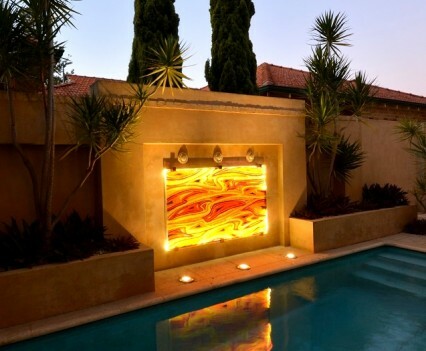 Many homes now feature outdoor living rooms as luxurious as those you’d find inside, complete with fireplaces, televisions and more. 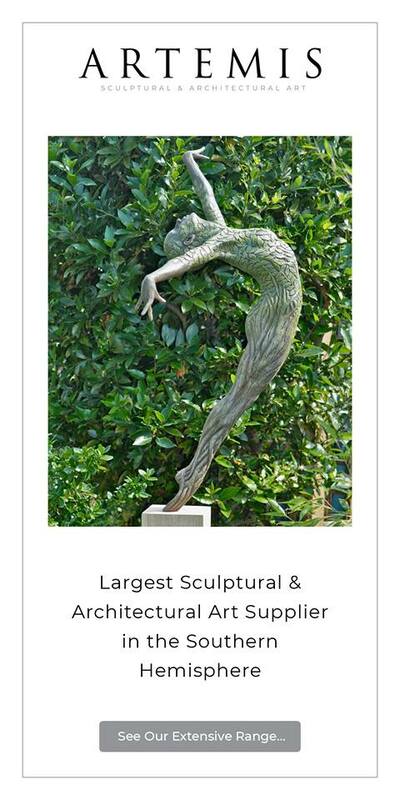 Given this, it’s not surprising that garden art has also gained popularity. 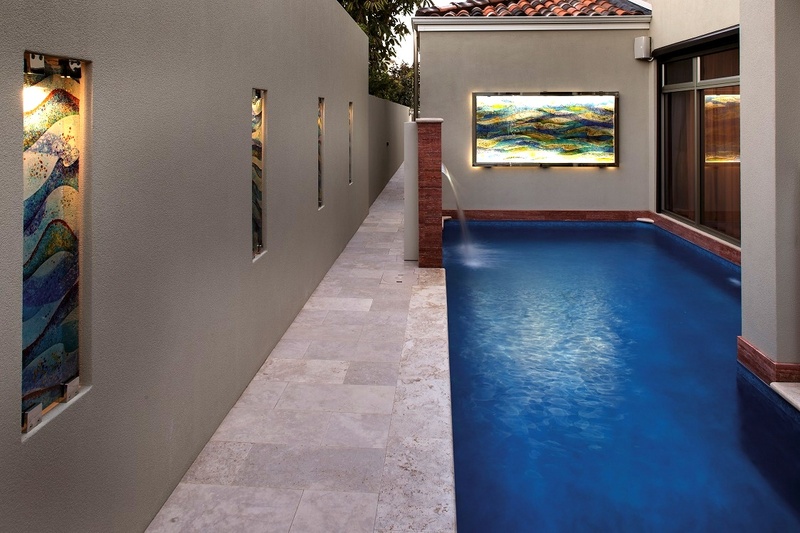 For art lovers, garden and alfresco areas have become an extension of the home and simply another place to adorn with beautiful works of art. 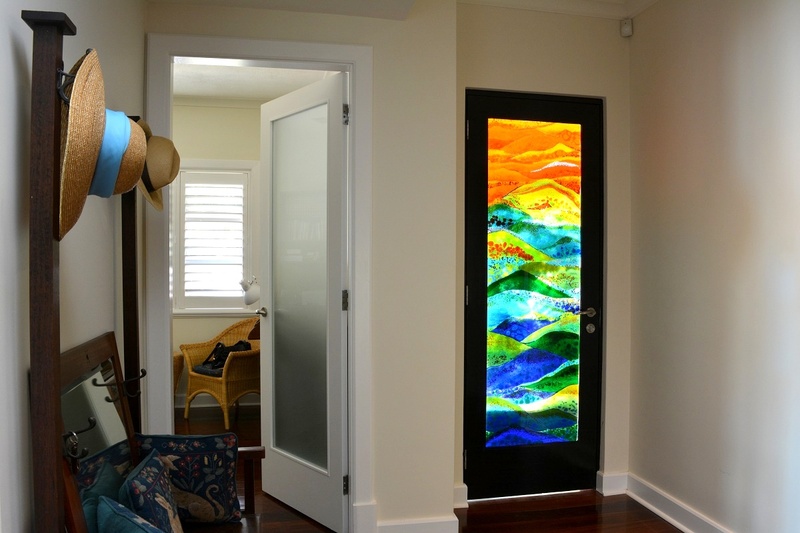 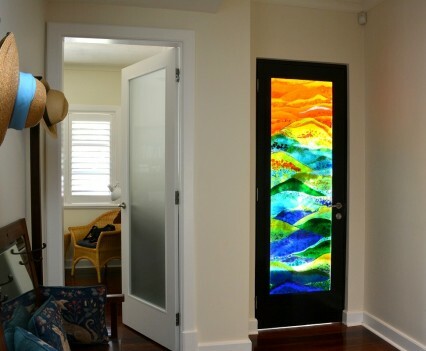 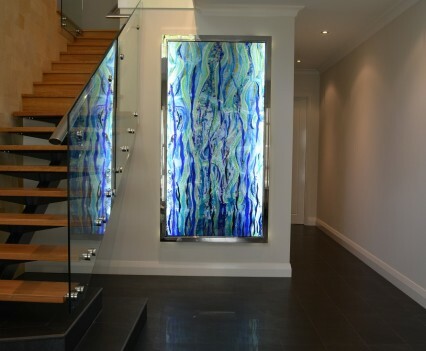 For those looking for unique and original art for exterior areas of the home, Perth glass artisan Kim Fitzpatrick is the man to speak to. 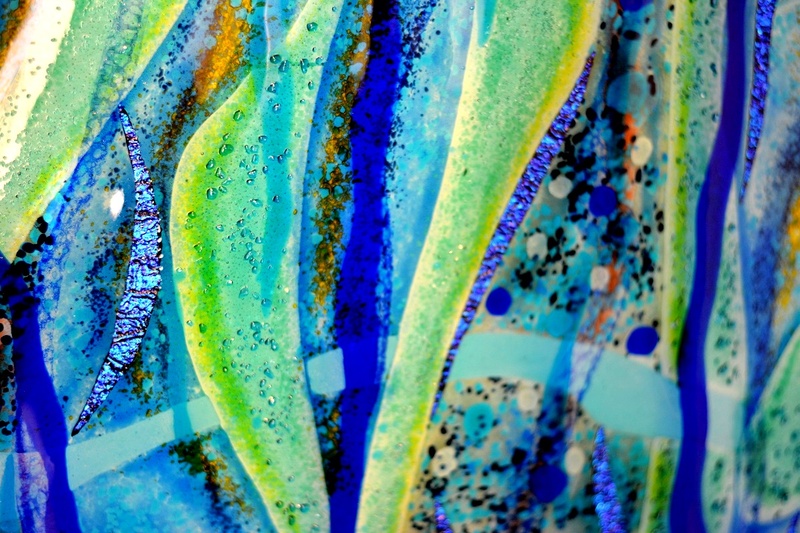 With a long family history working in glass, Kim has developed his own unique contemporary art style working with fused glass to create what can only be described as ‘glass paintings’. 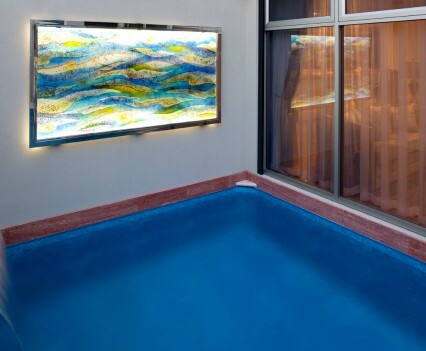 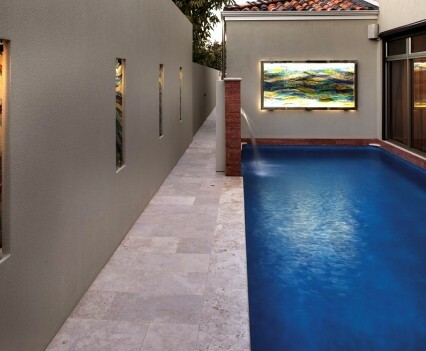 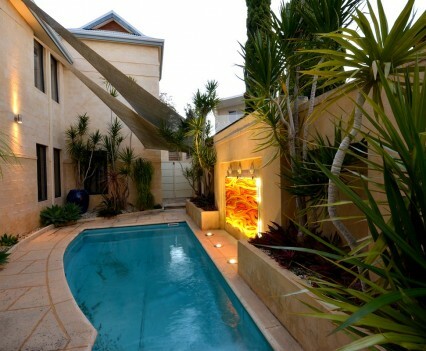 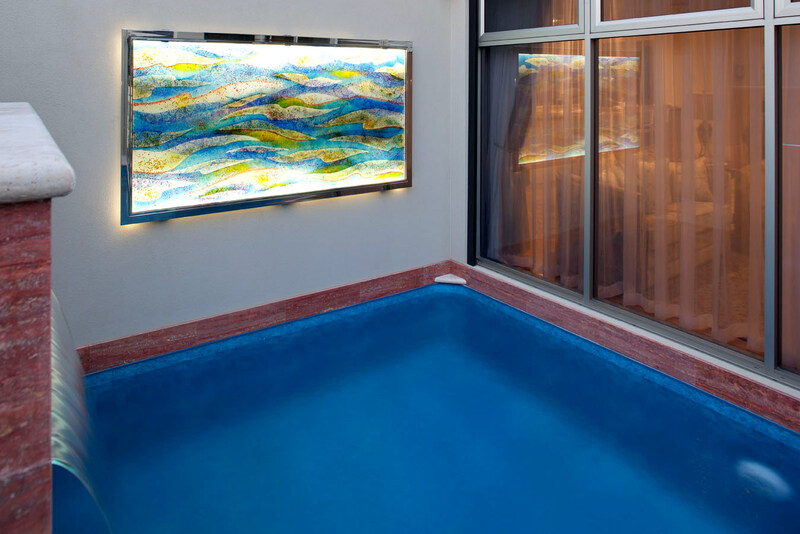 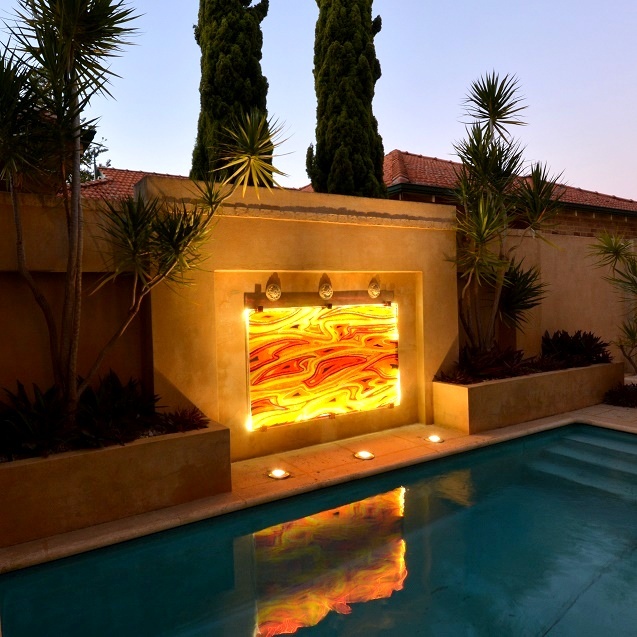 The fused glass process creates glass that is almost unbreakable and aside from regular installation as window and door panels, it can be spectacularly backlit with LED lighting making it a stunning option for adding ambience to alfresco areas and as pool features. 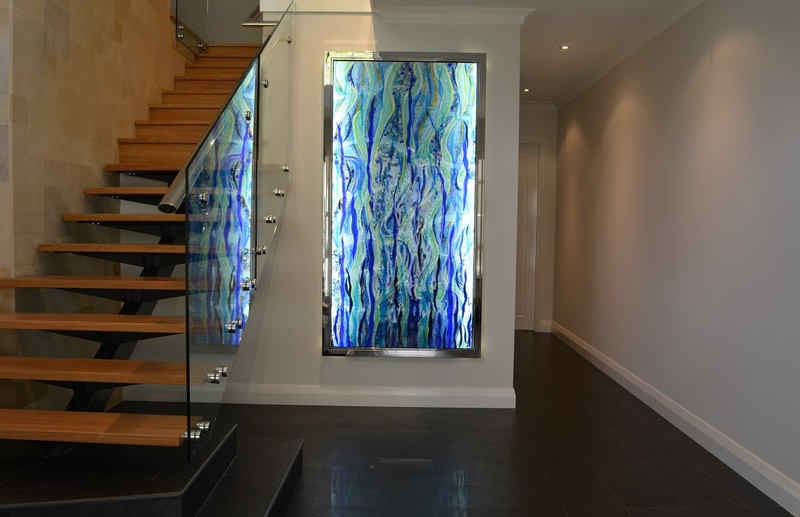 Each piece is individually designed in consultation with clients, so that every artwork is 100% original and can be customised to suit specific spaces, making the glass art a showpiece for any home or commercial space. 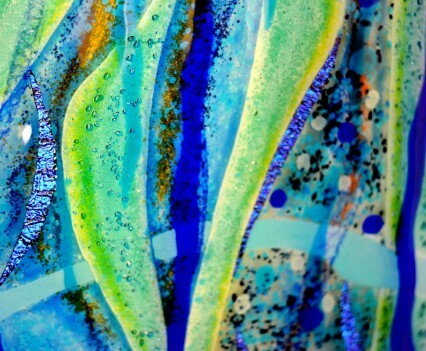 Kim operates from a studio and gallery in Perth’s southern suburbs and has been commissioned for many works including contemporary fused glass art for Perth’s parliament house.